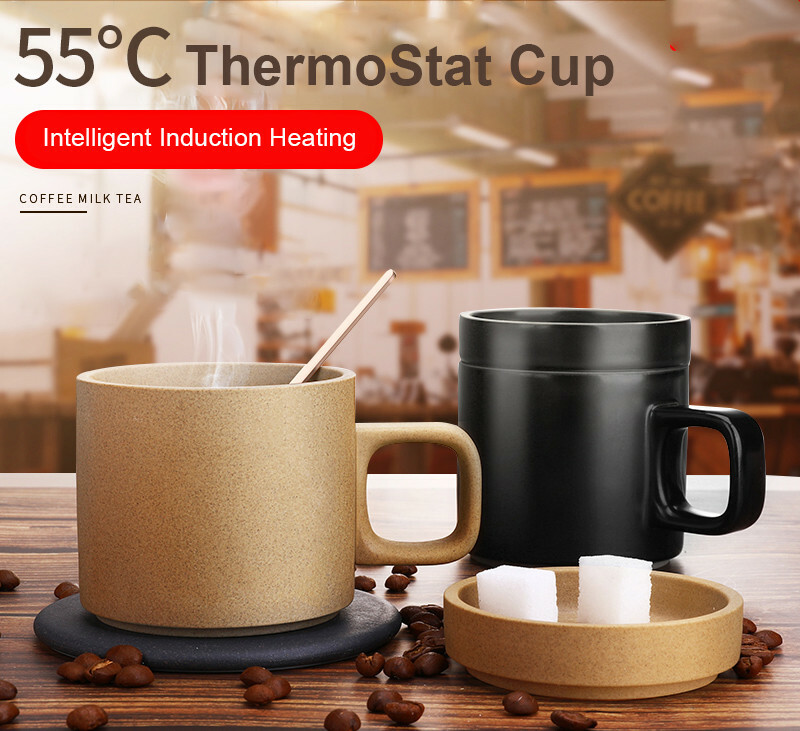 Intelligent thermostat Cup that heats up the liquid while putting on a heating plate. 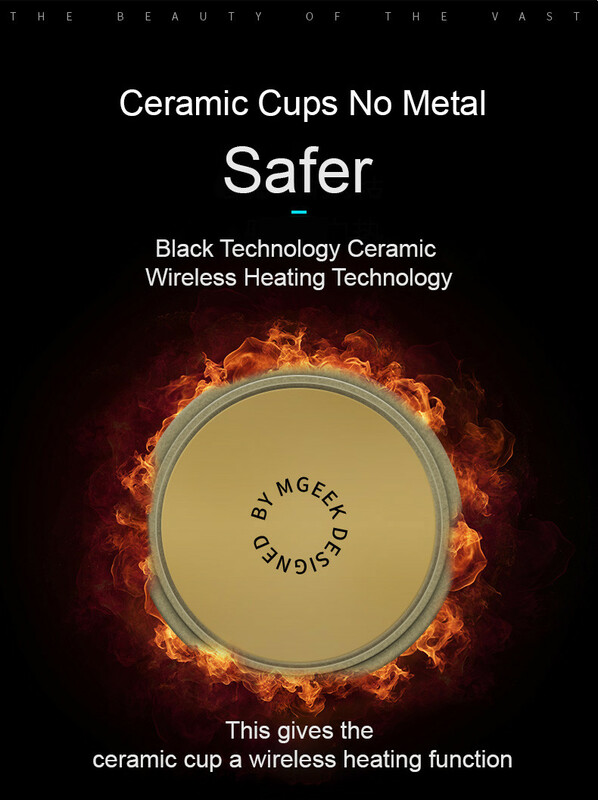 Black coating ceramic heating technology. 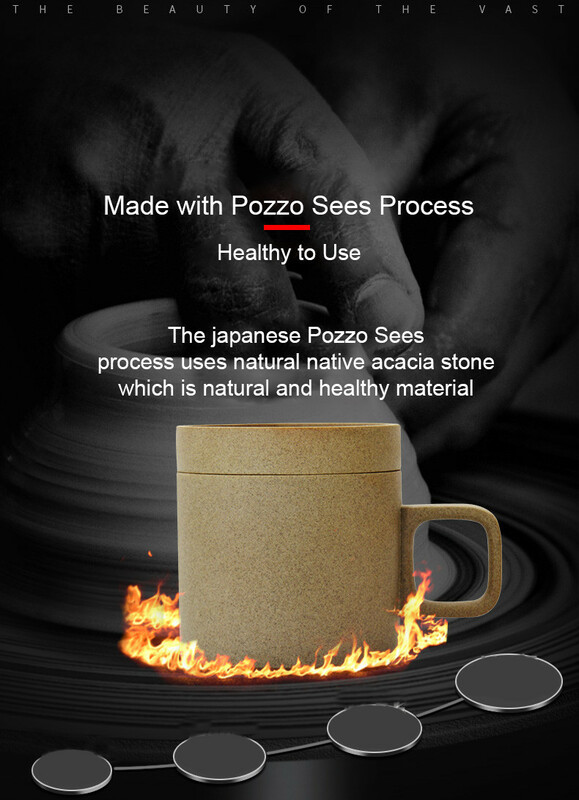 Made with ancient Japanese Pozzo Sees Method at 55o C.
Having a Ceramic Cup that supports Wireless Heating. 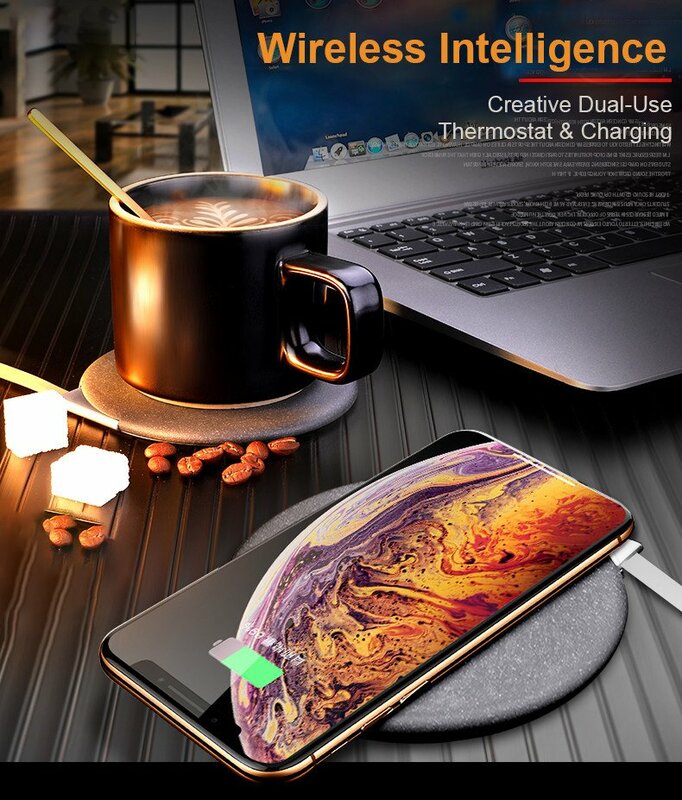 The wireless charger has two functions i.e. 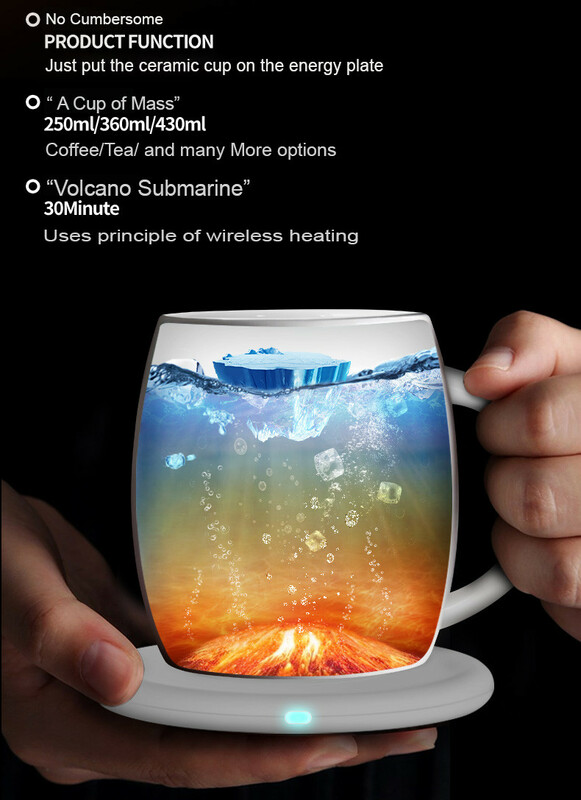 charging and heating. 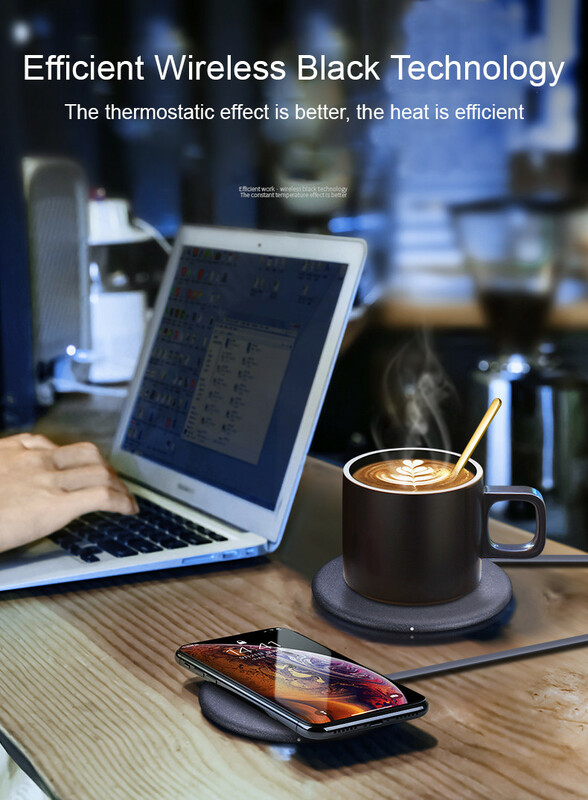 The charger itself does not heat up so protects your device from external heating. 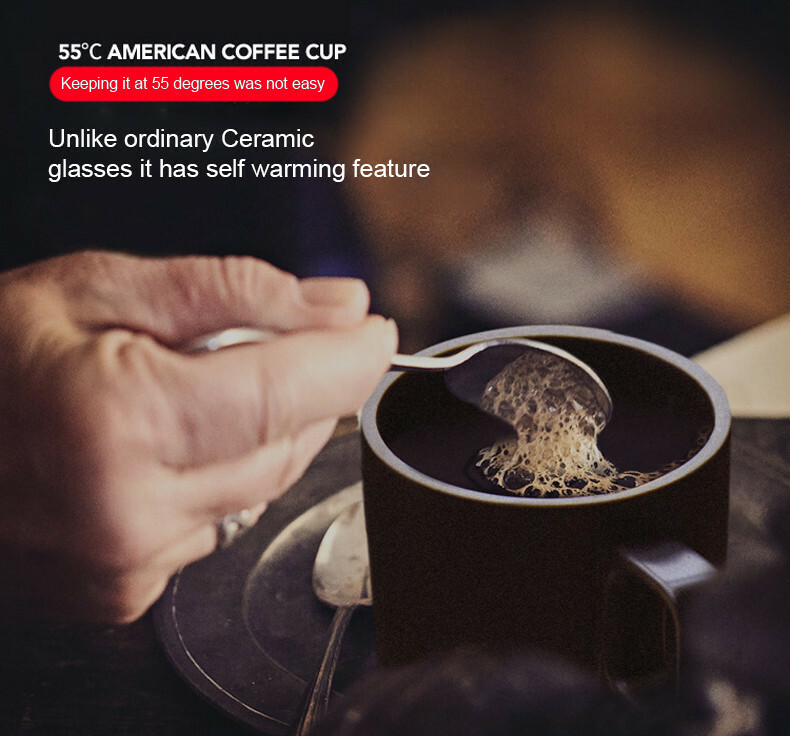 Ceramic Cups have the special coating so that it can heat up while putting on the heating plate. 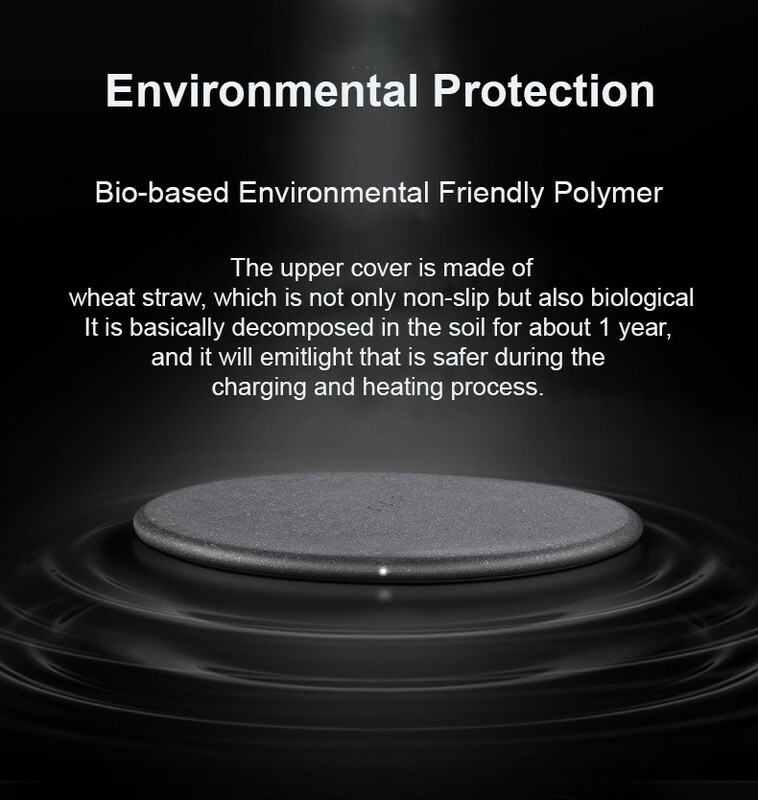 Wireless charger shell is made up of wheat straw so it is completely natural and environmentally Safest. 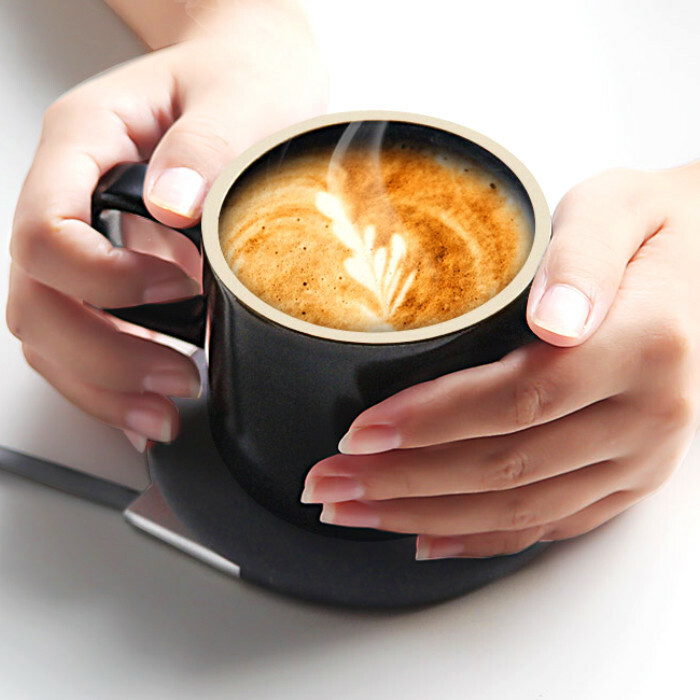 Does it ever happen to you while working on something your hot coffee turned into cold coffee so you have to through it? 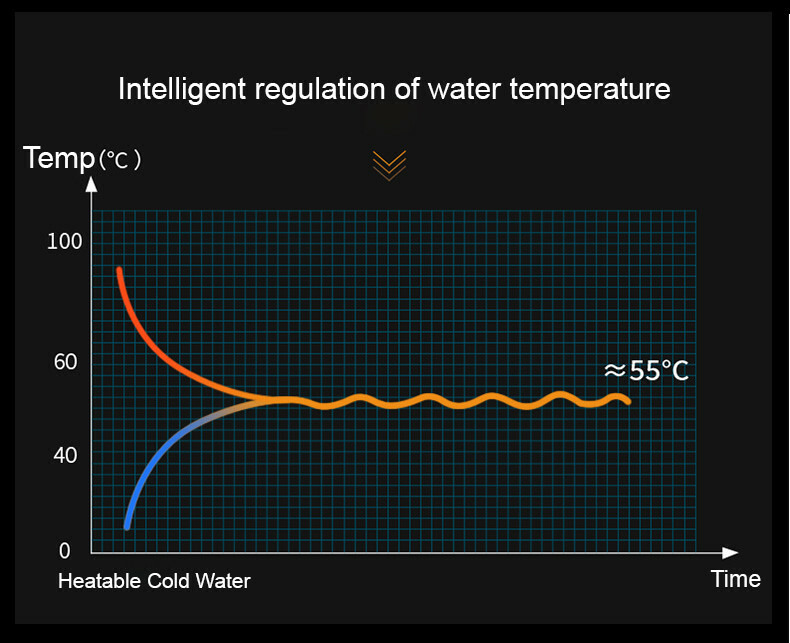 Now we have the solution for your this problem. 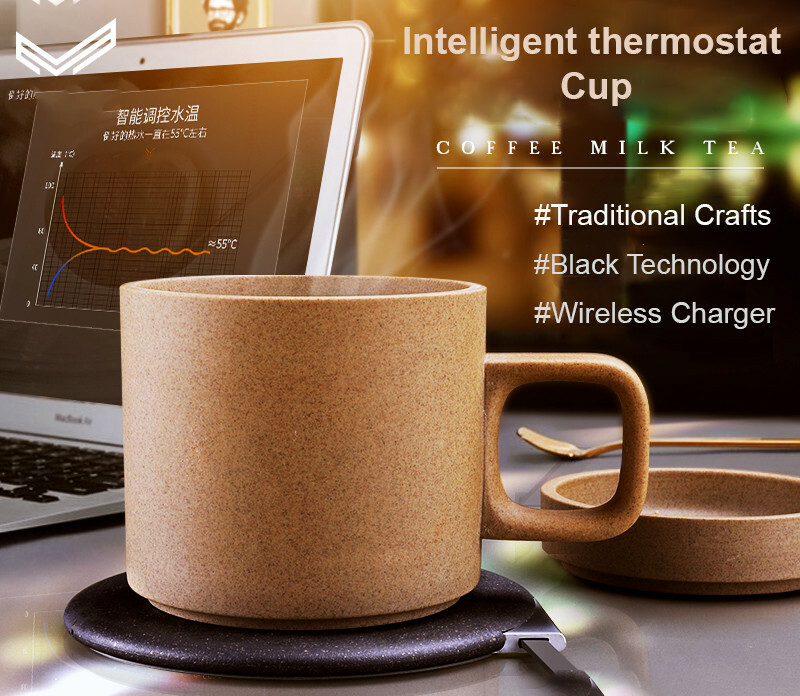 Introducing a newly advanced Intelligent Thermostat Cup with the wireless charger & the cup will heat up your liquid whenever you put it on Charger. 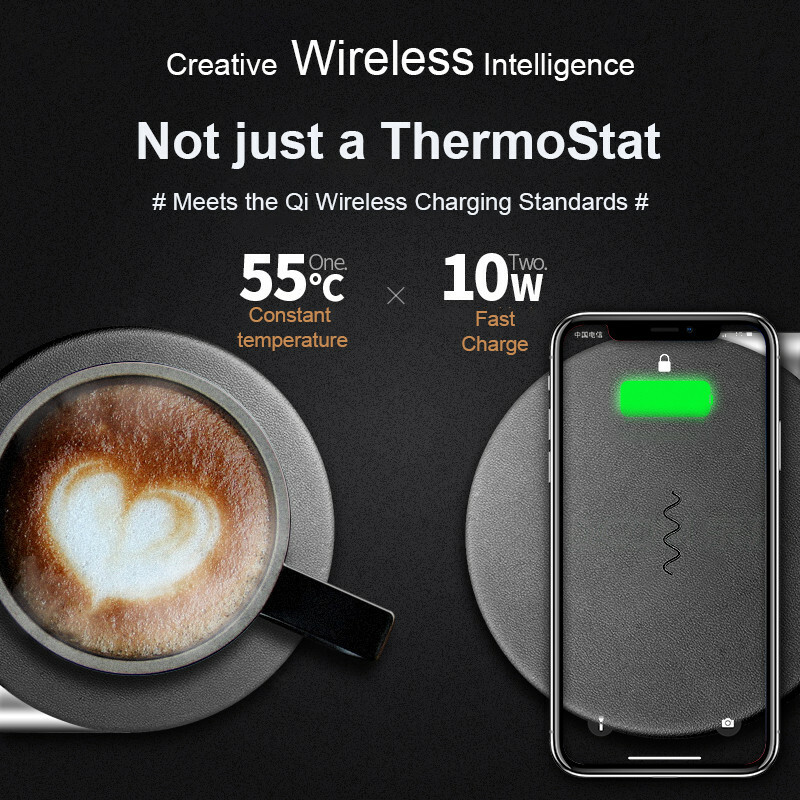 Multi-Functional Charger that will heat up your liquid and charges your phone. 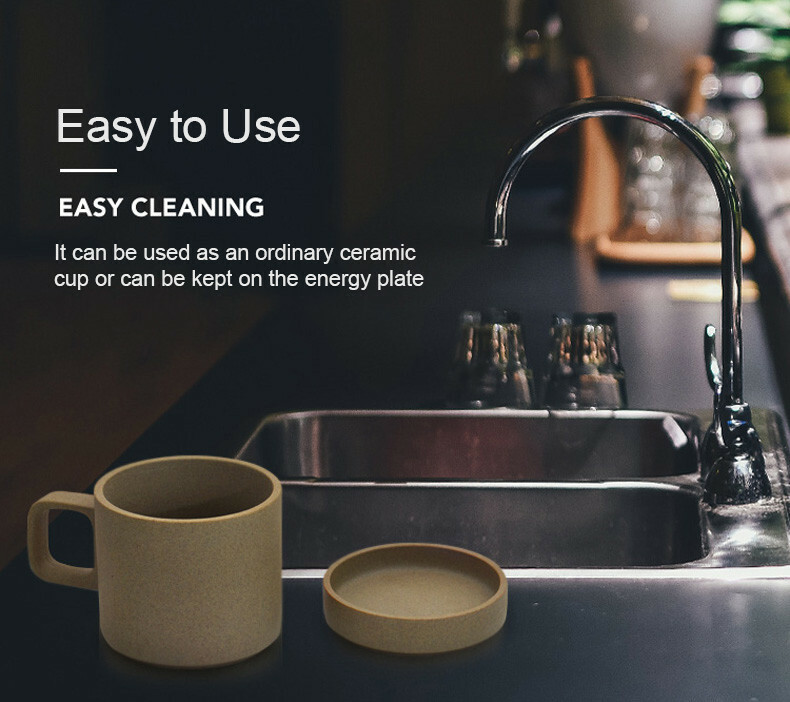 Ceramic Cups that can be used as normal ceramic cups also easy to clean. 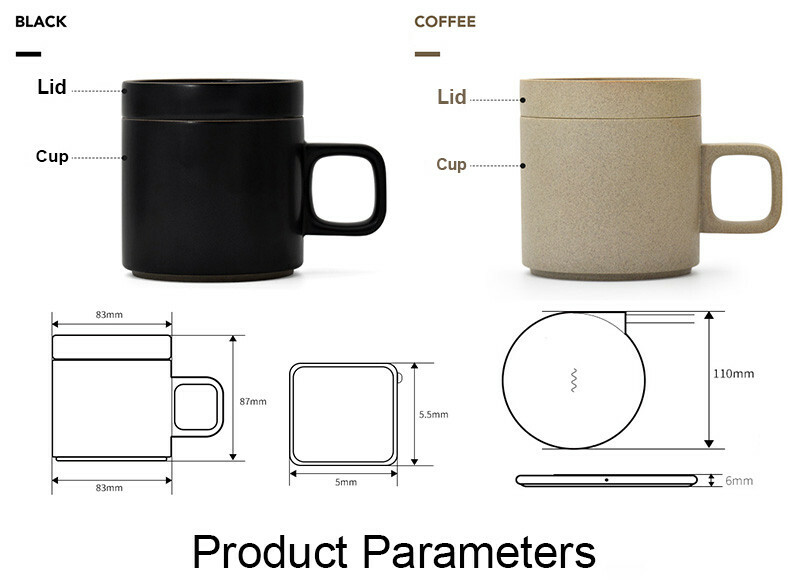 Made with Japanese pottery technology at 55o C the temperature which is very difficult to archive. 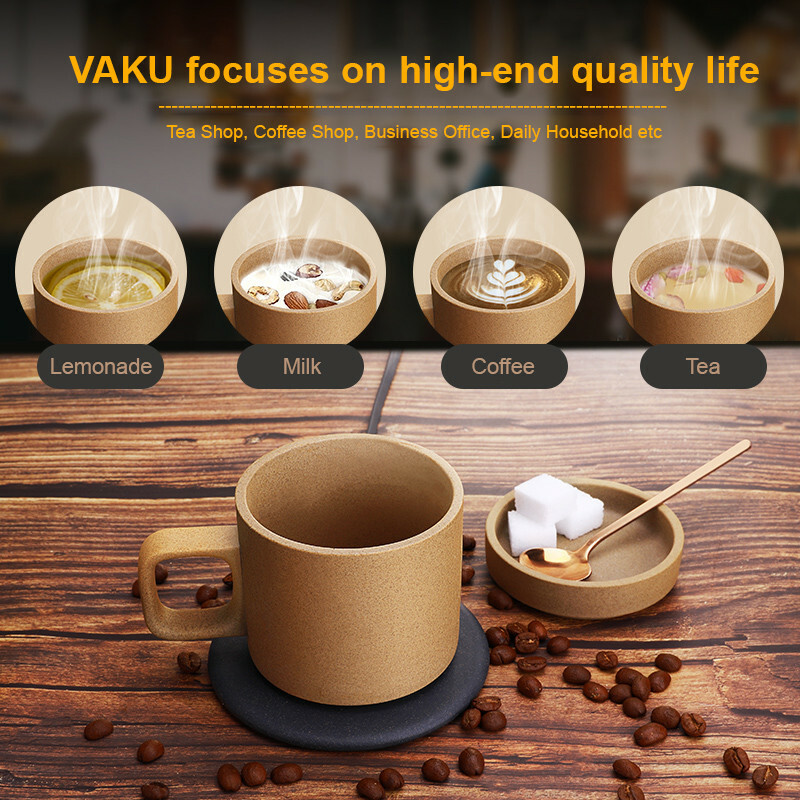 It is easy to use and durable.